Surprisingly not everybody knows what the thyroid is, what it does for your body and many negative effects of underactive thyroid in women. 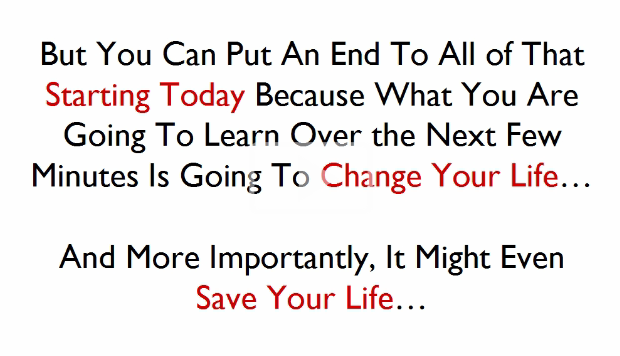 Here is why you should. A properly functioning thyroid gland is very important for your metabolism especially if you want to be fit and healthy. Without it your body couldn’t function, you may feel fatigued and don’t have energy not only to exercise but even perform your every day activities. Your thyroid is a butterfly-shaped gland which is located in the lower part of your neck just below your Adam’s apple. If you put your hands right at the base of your neck you can actually feel your thyroid. The thyroid produces very important hormones known as T4 and T3 and less known T2 and T1, however only T3 is metabolically active. Thyroid hormones affect your puls, heart rate, breathing, energy levels, memory, sleep, how well you process your food as well as gain or lose weight. Are You At Risk To Experience Negative Effects Of Underactive Thyroid? Unfortunately, many people nowadays suffer from thyroid disorders, more commonly underactive thyroid function that is called hypothyroidism. Women are at a higher risk than men especially around puberty, pregnancy, peri- and menopause and over the age of 60. There is a strong correlation between hormonal changes and the incidence of thyroid disease. This is the main reason why thyroid disorders are so common in women. Another risk factor is exposure to radiation, X-ray and radiological procedures especially to the neck and head area. One of very common examples is when you go to the dentist and get an X-ray done without using a protective guard that covers not only your body and chest but also your thyroid. Many environmental factors can affect how well your thyroid does its job. This includes environmental pollutants, chemicals in our food and household, mercury in dental amalgams, fluoride in drinking water and many others triggers of negative effects of underactive thyroid in women. A poor diet can be a contributing factor to hypothyroidism because if you don’t supply all necessary nutrients your thyroid needs it can result in the lower thyroid hormones output and hypothyroidism. 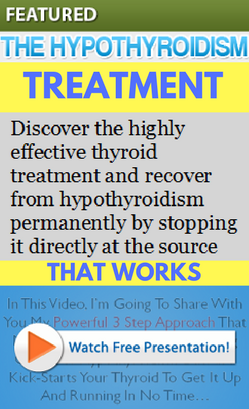 Individuals who had their thyroid glands surgically removed become hypothyroid and need to take medication for life to replace missing thyroid hormones. 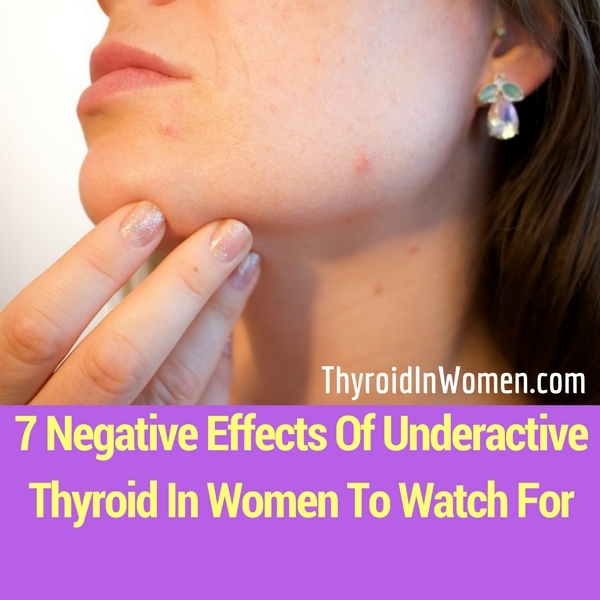 Many negative effects of underactive thyroid in women can be noticed when examining your appearance, accessing your energy levels and body temperature. When you look at your face in the mirror pay attention to your eyebrows. If you have thinning eyebrows on the outer third part this could actually be a sign that you may have an underactive thyroid. If you find yourself freezing on a warm day and want to put on a sweater or feel cold all the time when other people are not this means that you are having troubles maintaining your body temperature due to underactive thyroid function. Unexplained weight gain even despite a healthy diet and regular exercise could be another clue that your thyroid is off. Dry, cool, waxy skin and a puffy face, especially around your skulls and eyelids are some of the most unpleasant effects of underactive thyroid in women. A hoarse voice and changes in your voice could be due to the swollen neck area and enlarged thyroid pressing on the vocal cords. Having lots of aches and pains especially early at the morning after you wake up, unusual and prolonged muscle soreness after workouts and feeling sore all the time? 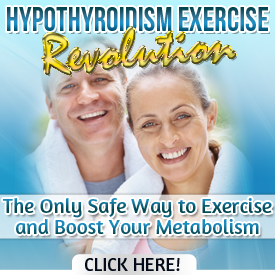 Underactive thyroid could be the answer. Mood instability and when you start to feel really depressed all the time are typical mental effects of underactive thyroid in women. If you experience any of these signs you definitely want to talk to your doctor to get your thyroid checked and order thyroid lab tests. It is important to get a proper diagnosis and treatment for underactive thyroid in women as early as possible because the longer hypothyroidism is left untreated the more profound and debilitating hypothyroid symptoms become and the longer will be your recovery time.